Known Information: Tusoteuthis is a terrifying opponent for several reasons. Firstly, its grab slowly renders its victim unconscious, so death isn't the first concern. Secondly, its vampiric blood drain instantly revitalizes it even during combat. 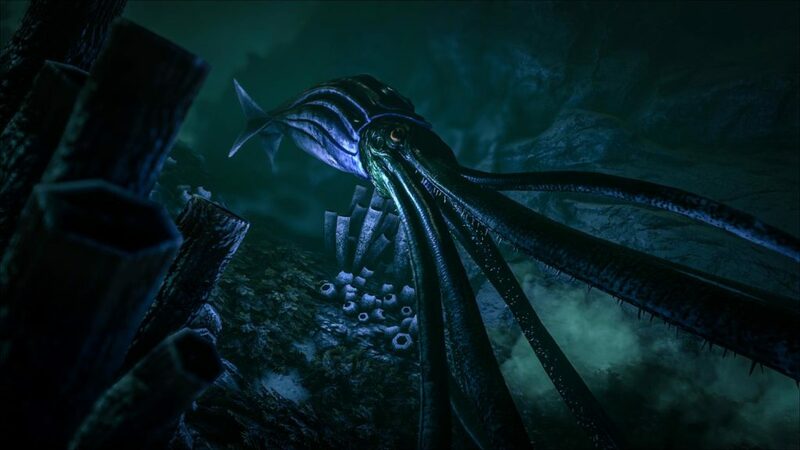 And finally, if Tusoteuthis is losing a fight, it sprays a cloud of ink into the water around it, blinding its attacker to cover a sneaky escape. Domesticated: One of the major benefits of taming Tusoteuthis is harvesting its ink. 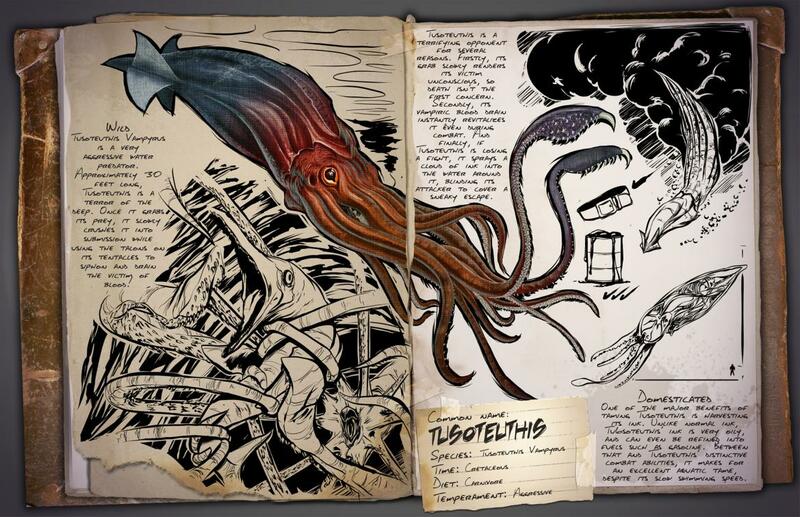 Unlike normal ink, Tusoteuthis' ink is very oily, and can even be refined into fuels such as gasoline. 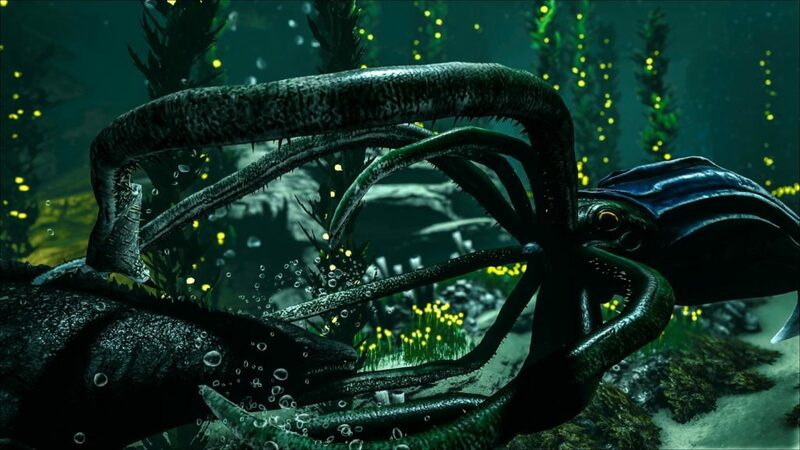 Between that and Tusoteuthis' distinctive combat abilities, it makes for an excellent aquatic tame, despite its slow swimming speed.